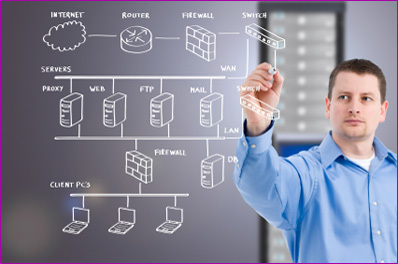 WCOIL professionals are certified and trained to be your IT partners. Our network technicians are at the disposal of our clients and work closely to increase the productivity of your business keeping your costs low and your data secure. All clients have an assigned network technician in order to give exceptional personal service when you need it. WCOIL Network Services allow you to have an IT staff with the quick reponse time that you require, yet not bear the costs of any additional employees. Businesses cannot afford to have non productive employees waiting for computers, servers, phone systems or other technology services to be fixed. WCOIL offers service plans or hourly rates for your convenience. Call us now for a free consultation on your current network and how WCOIL can help save you money.